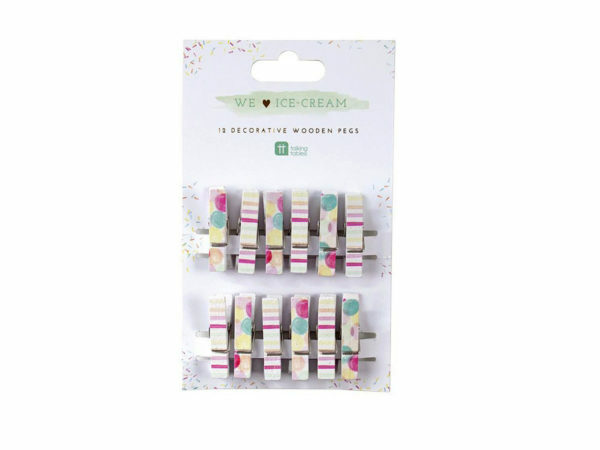 These Talking Tables Decorative Wooden Pegs are great for scrapbooking, memo boards, and office decor. It includes 12 ice-cream theme colors. The pegs are approximately 1. 25" x 0.35" in size. It comes packaged in a hanging panel with poly bag.